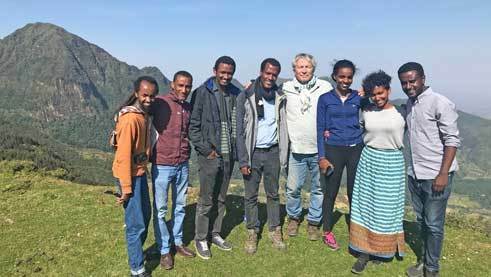 Eight young Ethiopian artists and academics have embarked on an expedition to the Shoa region to juxtapose the Eurocentric image of Ethiopia with their own, contemporary perspective. 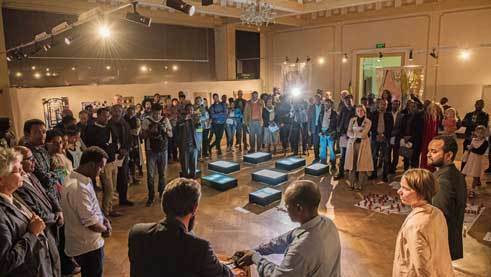 The results will be presented in an exhibition in which the Goethe-Institut and the Alliance Ethio-Française explore the common European-Ethiopian cultural heritage. Towards the end of the nineteenth century, Ethiopia, once known as Abyssinia, attracted many European travellers and explorers. During their expeditions, maps, descriptions and photographs of the region were created – documents that are practically the only historical records from this period and therefore extremely important for Ethiopian historiography. However, these documents are still mainly located in Europe and were also created from a European perspective. 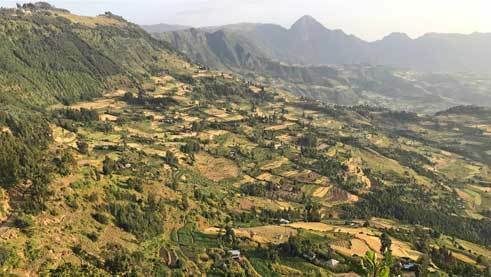 In the project Shoa: A Geographical Passion, a group of Ethiopian artists, photographers, historians, geologists and anthropologists have now taken on these testimonies of the past and linked them with their own impressions of the Shoa region. The idea is to give the young artists and academics access to the various materials from the expeditions of that time, and then for them to travel to the region themselves to create their own drawings, photographs and reports. Thus, an exhibition has been created that approaches the region in the highlands of Ethiopia and its history from a contemporary, interdisciplinary and above all Ethiopian perspective. Some of the participants during their journey through the region of Shoa | Photo: Hugues Fontaine They began with a five-day workshop in June, where the group examined historical documents, heard academic lectures, and discussed the Shoa region, historiography, and the use of maps. In October, the curators then travelled to the Shoa region with the five artists and three academics – all of them under the age of 30. The journey took them from the Menangesha Forest to Holeta, Addis Alem, Entoto and finally to the historic city of Ankober for five days. There were no specific requirements for their own artworks, instead the curators were curious about what would arise from the raw material. “We take on the curatorial work, but everything else is in the hands of the participants. It’s like classical music: the conductor makes sure that everyone plays together, but it’s the orchestra that makes the music,” explains Fontaine. The exhibition Shoa: A Geographical Passion will be on view at the Institute of Ethiopian Studies from 25 October until 25 November 2018. The project is curated by Hugues Fontaine (France) and Mifta Zeleke (Ethiopia). With this project, the Goethe-Institut and the Alliance Ethio-Française explore a common European-Ethiopian cultural heritage. It is funded by the Goethe-Institut and the Alliance Ethio-Française with support from the French Embassy in Ethiopia and the German-French Cultural Fund.